– Get a new iPad on us when you activate a new phone line on an Unlimited Plus or Basic plan. – The first 10 people through the door who activate a new line (new or existing accounts) with Sprint on Basic or Plus will receive a $50 MasterCard® Prepaid card. Good only on July 13. – Through July 31, activation fees will be waived on lines three through five when customers activate on Unlimited Plus or Basic. The two main new plans — Unlimited Plus and Unlimited Basic — are evolutions of Sprint’s previous Unlimited Freedom plan, now split into two so that customers “can get the best choice for them,” according to the company. This means 2018 MacBook Pro users can say “Hey Siri,” instead of clicking on the Siri icon in the macOS menu bar or tapping on the Siri button on the Touch Bar, to activate Apple’s virtual assistant on the desktop. For instance, the T2 chip’s image signal processor works with the FaceTime HD camera to enable enhanced tone mapping, improved exposure control, and face detection-based auto exposure and auto white balance. On the MacBook Pro, the chip also authenticates and secures Touch ID and Apple Pay. It’s unclear if the iMac Pro will eventually support “Hey Siri” too. Apple will discontinue its physical Photo Books printing service later this year, as spotted by 9to5Mac. Using Photo Books, macOS users can choose from pictures taken on an iPhone or iPad, synced to the Mac Photos app, and build books, cards, calendars, and prints that are then mailed to them. 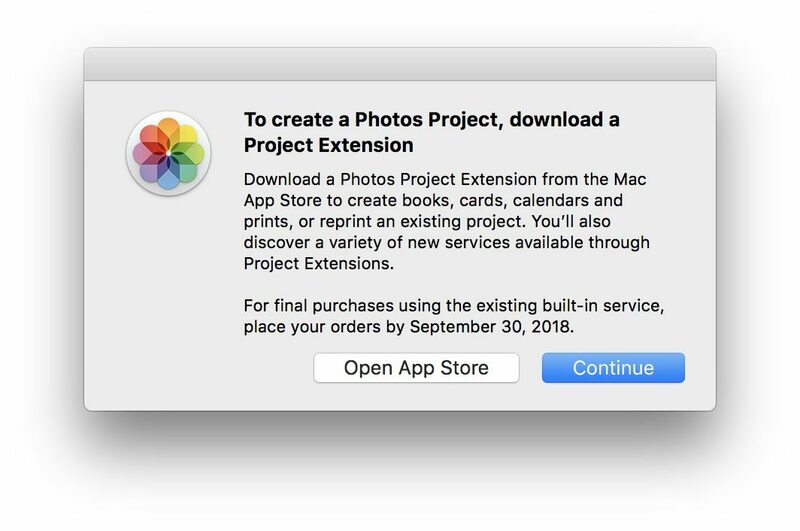 Apple explains that users can integrate these third-party services into Photos with a Photos Project Extension downloaded from the Mac App Store. With these extensions, apps like Shutterfly can integrate photo printing services into Apple’s own Photos app so users don’t have to leave the app to build their photo books. For classic landscape-style books, Apple sells softcover books starting at $9.99 in a medium size, and increasing to $49.99 in hardcover and extra large size. Calendars are $19.99 each, cards start at $0.99, and posters for panoramic shots are also available for $12.99-$17.99. These prices should remain intact until the service shutters in the fall. The TicWatch Pro is a smartwatch for those who want style and battery life at an affordable price. 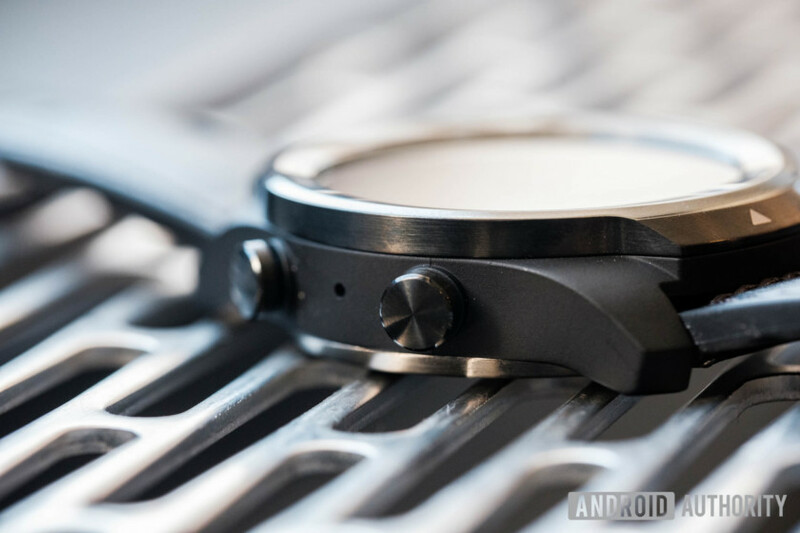 While the Mobvoi brand doesn’t have the glamour or appeal of more established brands like Guess or Tag Heuer, the Pro offers style and function at a considerably lower cost than other Wear OS options right now. 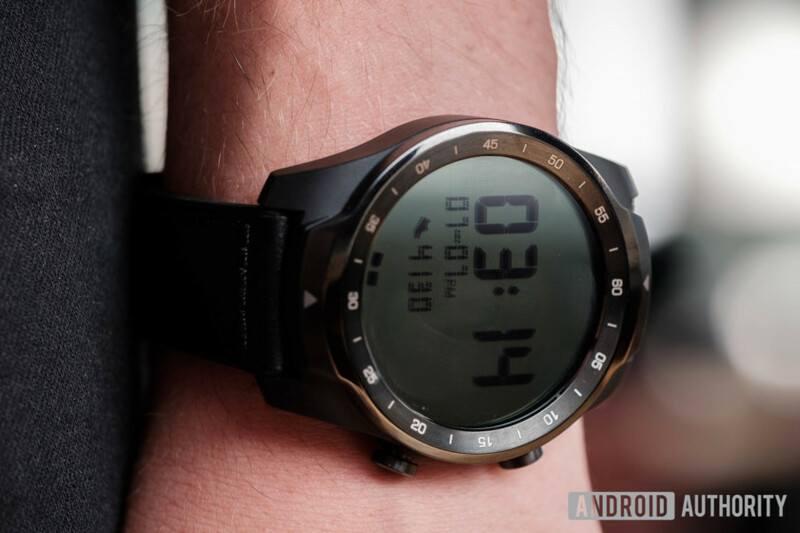 Let’s find out if it’s really worth it in our TicWatch Pro review. The TicWatch Pro is bulky, there’s no getting around it. Mobvoi was clearly going for more classic style, mirroring something you might see in high-end luxury watch brands. That said, there are quite a few features here not seen in other Wear OS devices, so it makes sense that it might be slightly thicker in its first generation. The watch has five-minute markers painted along the metal crown. This is mostly useless, since most digital faces have those markers built in, and a lot of people will probably use a digital-style face anyway. However, it makes the watch look more like a traditional luxury option, and many people probably wouldn’t be able to tell you were sporting something a little smarter. The watch’s main housing is plastic — no doubt a decision made to shave a few dollars off the manufacturing costs. This was the only part of the device that felt cheap, as back of the watch and the lugs protruding from its right side are made of metal. 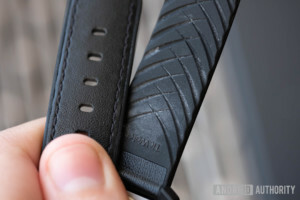 The watch band has leather stitching, which makes it look fairly luxurious, but only only on the top. 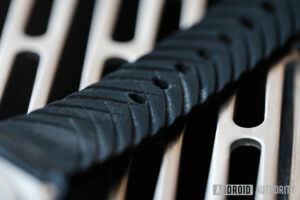 The underside of the band is made of silicone. 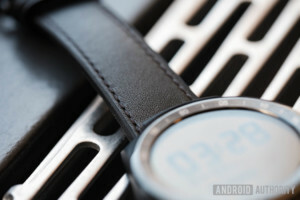 Some might be put off by the exclusion of a pure leather band, but I quite like this decision. It assured me I wouldn’t need to worry about sweat discoloring the material on a hot day. The TicWatch Pro actually has two layers of screen. 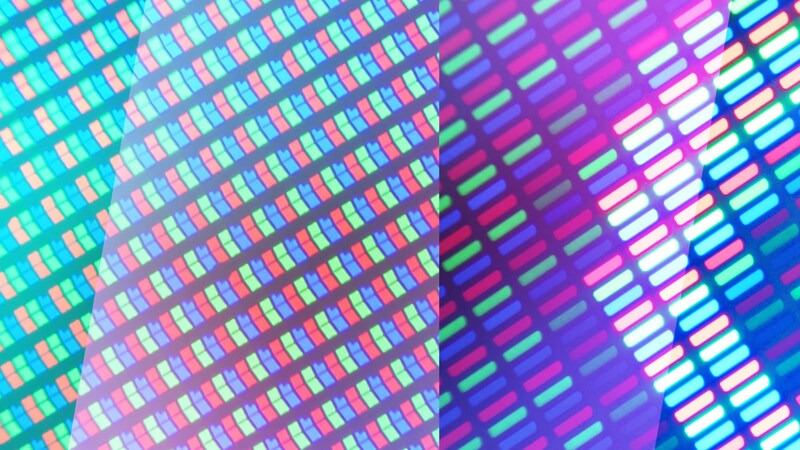 The top layer is an LCD panel, specifically a Film Compensated Super Twisted Nematic (FSTN) one. This LCD technology is transparent when off, revealing the OLED display underneath. This actually solves some common problems with smartwatches. Using the FSTN display while in a resting state allows the user to quickly glance at the time without needing to activate the OLED panel, which significantly boosts battery life. 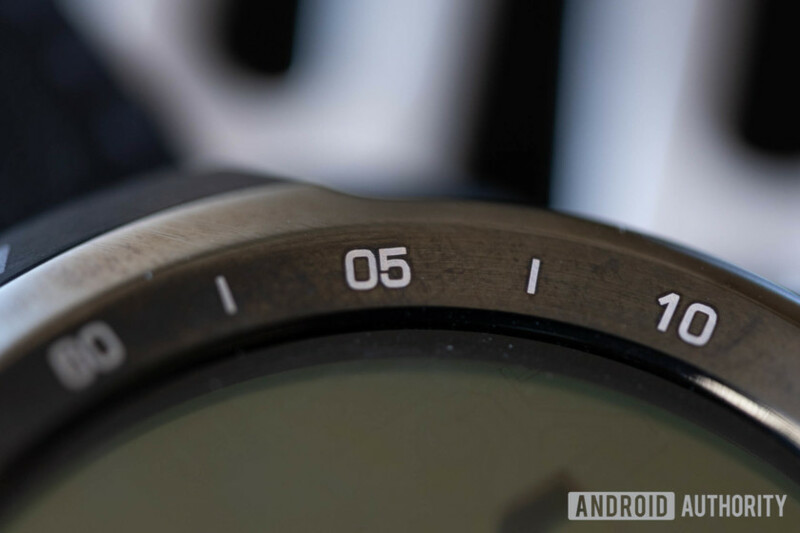 Essential mode forces the watch to only use the FSTN display, and will extend battery life by up to 30 days. This mode displays the time, date, step count, and heart rate, and is useful if you’re not planning to use the WearOS features much. You can easily switch into Smart Mode with a toggle in the apps area, or by long-pressing the bottom lug. Smart mode makes the watch work like any other WearOS smartwatch. It uses the OLED display underneath the transparent LCD one. The FSTN display actually makes the screen slightly dimmer than other smartwatches in this mode. It’s usually fine, but you may have some trouble with menus in direct sunlight. Mobvoi says you can get around two days of usage if you leave the watch in smart mode, but I highly recommend leaving it in the hybrid mode for better battery life while you’re not using WearOS features. Hybrid mode uses the FSTN display while the watch is in an idle state, displaying the time, date, step count, and battery life. This is the mode you’ll want to leave the watch in most of the time — it offers the greatest battery-life-to-usability ratio. In this mode I got about five days of use, though this shrunk to three days after I used the watch to track a run. The phone will also automatically switch to Essential mode when the battery is low, which should extend the life of the watch by a couple of days. It makes it very hard for your watch to actually die without you noticing just how low it is. We’d all love our watch to remain a watch even when all the fancy features don’t have enough juice, and the FSTN display helps with that. At its core, this is a Wear OS smartwatch, with all the benefits Google has to offer, like access to third-party apps, watch faces, and fitness tracking. The TicWatch Pro also packs a few uncommon extra features. The TicWatch Pro has all the features you might want in a smartwatch. It supports NFC, so you can use things like Google Pay just by tapping your watch to a point-of-sale terminal. This feature requires a lock screen on your watch, which is a strange requirement (but secure). The ability to tap your watch to pay for things is just one more way smartwatches can make you rely on your phone less, which is nice. The TicWatch Pro is also IP68 water and dust resistant. No one wants to take their watch off every time it starts raining. You could even technically take this in the shower with you. Just because you can doesn’t mean you should, though — protect that leather. Built-in GPS means you can go running without your phone and track your progress. The watch has a few different exercise programs, but they really just track your time and distance. If you want to get serious about running, an app like Strava has much more functionality, and syncs to your phone once you’ve re-connected. However, with its bulky frame, this already isn’t the most fitness-friendly design out there anyway. 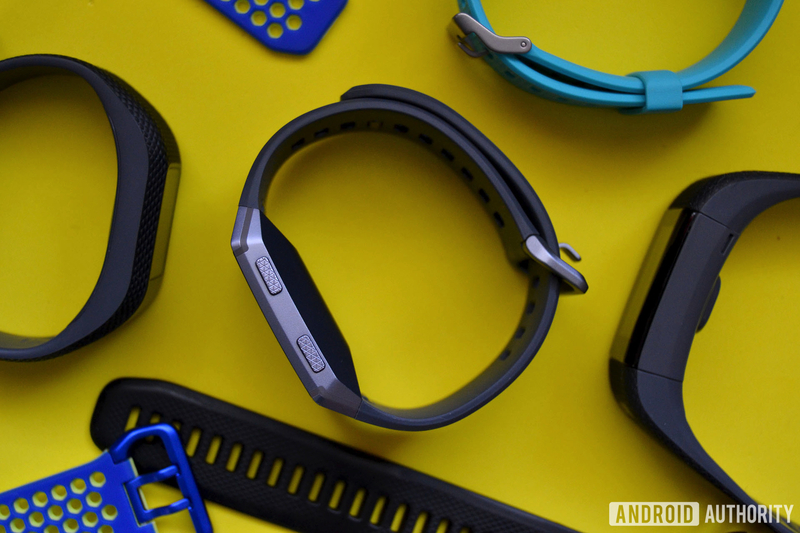 If you’re looking for something a little more fitness-oriented, check out our list of GPS running watches and fitness trackers. The Mobvoi app is mostly useless, and you will probably will never use it. 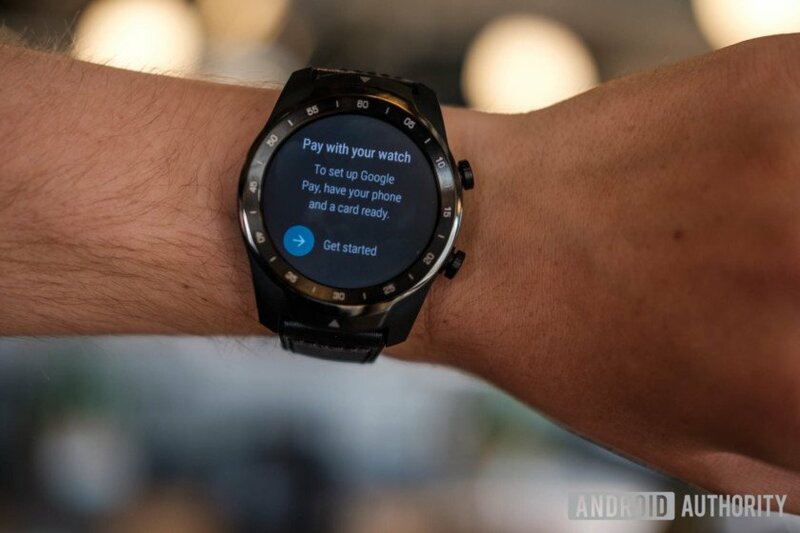 The watch will recommend you download it, but you’re better off sticking to the Wear OS app. The app will display your steps, active minutes, and hours walked on the main device tab, but the other tabs are only useful if you have other Mobvoi products — mainly the company’s smart home utilities. The Routines tab is used for setting up automation in your home, with the Store tab placed conveniently beside it. It feels like Mobvoi only made the app to sell you more products, so feel free to avoid it. At $249, the TicWatch Pro is a pretty great option in the Wear OS ecosystem. It might not have the branding of something like Tag Heuer or Guess, but it’s loaded with a ton of features you’ll want in an everyday smartwatch. The silicone-leather band design is great for people who want to look classy and work out on occasion. The dual-screen technology is quite innovative, and I hope other smartwatch manufacturers start to take notice. When I’m not actively using Wear OS I love having the low-powered LCD screen display the time and my step count, and it’s nice to be able to jump into Google’s ecosystem whenever I need it. 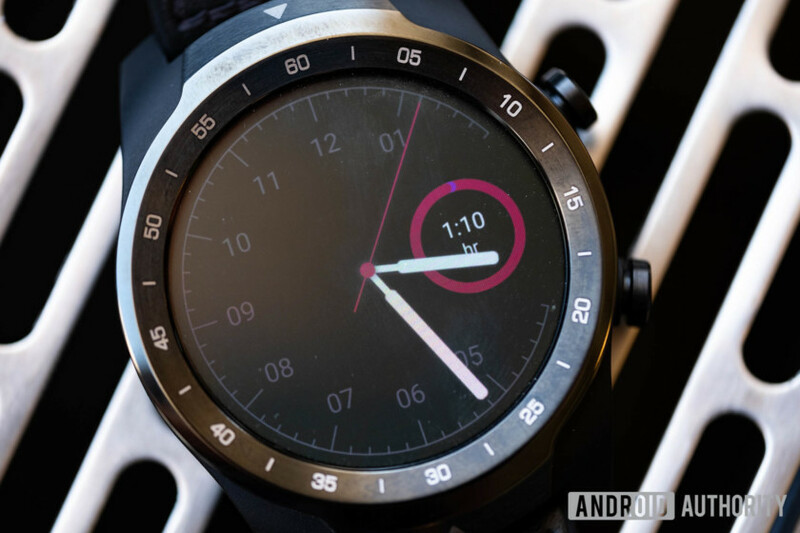 Qualcomm hasn’t updated its smartwatch chipset in over two years (that will change soon), and Mobvoi has done a great job of circumventing Wear OS’ battery life issue. If you’re looking for a smartwatch that will last more than a couple days, give this thing a look. The TicWatch Pro will be exclusive to Amazon Prime members until August 15. If you want this watch but don’t have a Prime account, you’ll have to either wait it out or sign up for a trial. 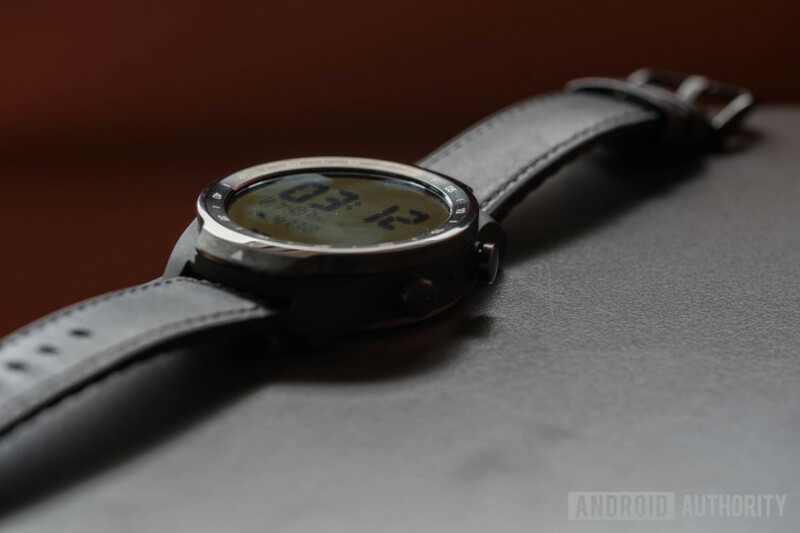 So that’s it for our TicWatch Pro review. What are your thoughts on the TicWatch Pro? Is this the smartwatch you’ve been waiting for? Let us know in the comments below! Is there a new ‘next-generation’ Windows OS just around the corner? Interface developer Synaptics has announced a new partnership with AMD to help secure many of the operating systems of the future with a new fingerprint sensor. One of those operating systems could well be a new Windows, as during the conference the two companies discussed how biometrics could be the key to securing a “next-generation” Windows operating system. Although few details were shared, it’s possible that the two companies were talking about Windows Polaris. Although Windows 10 has often been touted by Microsoft as its last OS — with continued plans for large, regular updates to refresh the platform’s capabilities and security — Microsoft has released new versions since its debut. Windows 10 S was considered as a hint at Microsoft’s more closed-garden idea of the future and unique Windows ’10’ platforms built around Windows Core OS are thought likely to be the next step. “The collaboration brings a new level of security for AMD-based laptops by leveraging Synaptics’ unique FS7600 Match-in-Sensor fingerprint sensor technology with powerful AMD Ryzen Mobile processors, and Microsoft’s forthcoming biometric security OS including Windows Hello,” Synaptics said during the announcement, via WindowsCentral. The collaboration with AMD and discussion of “Ryzen” CPUs — which are typically desktop and laptop chips — suggests we’re talking about a desktop operating system and not a mobile one. Therefore it’s certainly possible that the two companies were referencing Polaris, or at least Windows Core OS in their mention of a “next-generation” Windows, but the specific citing of a “biometric security OS” is intriguing. That could suggest passwords are dropped as the main login system in Microsoft’s OS plans for the future. If Synaptics and AMD were indeed talking about Windows Core OS or, more specifically, Windows Polaris in their announcement, then we may have to wait some time to learn much more. Although still very much under wraps, Windows Core OS and its associated operating systems are not expected to see the light of day until 2019 at the earliest and possibly not until 2020. As Neowin suggests though, it’s also possible Microsoft will say more at its upcoming Inspire partner conference that launches on July 15. Whichever OS the two companies were referring to though, it sounds as if it will support the new Synaptics fingerprint sensor, which adds a new layer of security to biometric login by storing the fingerprint signature on the sensor itself, making it self-contained and less susceptible to hackers and data thieves. Synaptics and AMD are just two of many companies who want to move us toward a password-free future. But it might not be that easy. Huawei developing its own OS in case it’s barred from Android? We might be more than halfway through 2018, but there’s still a lot for tech fans to look forward to. Samsung’s Unpacked events have traditionally a huge deal, with the Korean giant announcing major new phones like the Galaxy S9 and the Note 8. This August, there’s likely to be a ton of reasons to watch. The reveal of the Galaxy Note 9 is inevitable, but there’s also the possibility that we’ll be seeing some more unexpected reveals from Samsung. Samsung Unpacked 2018 isn’t until August 9, but we already have a pretty good idea of what to expect and how you can keep an eye on it when it starts. If you want to see all the action revealed as it happens, then there are a couple of ways to do it. The Unpacked event will be streamed live on Samsung’s website, and it’s likely you’ll be able to find it on Samsung’s YouTube channel too. Just tune in at 11 a.m. ET on August 9 and enjoy the show. We’ll have people on the ground at Unpacked 2018, so make sure to follow Julian Chokkattu, Brenda Stolyar, Steven Winkelman, and DT Mobile for the latest updates from the event. There are no prizes for guessing the main attraction at Samsung Unpacked 2018 — one glance at the invitation makes it pretty obvious. The Samsung Galaxy Note 9 will be in full attendance at Unpacked 2018, and you can expect the majority of the show dedicated to the Galaxy Note 8‘s successor. So what can we expect from one of the biggest phones of the year? Details obviously aren’t confirmed, but most sources are indicating that — like the Galaxy S9 — the Note 9 will not see a major shift from the previous model’s design. Instead, it seems that Samsung is going to focus heavily on the element of the Note range that sets it apart: The S Pen. Noted leaker Ice Universe claims that the Note 9’s S Pen will come with Bluetooth functionality, will be able to function as a camera timer/clicker, and will be able to control music playing on the main device. While such functionality likely means the stylus will need to be charged, it’s likely Samsung will find a way to charge the stylus while docked in the device. That could be bad news for the battery — but since rumors say the Note 9 will be packing a huge 4,000mAh battery, it might not be a problem. Another small change may be the addition of another button to the device. Don’t worry, it’s not another Bixby key — instead, it could be a dedicated camera button that could help to cement the Note range’s reputation for strong photography. Like the Galaxy S9, expect to see the fingerprint sensor move from the much-maligned position on the Note 8 — pictures of Note 9 cases place the sensor below the horizontally placed camera lens. Turning to the internals, leaked Geekbench results show a device equipped with the Snapdragon 845 (no surprise there), 6GB of RAM, and Android 8.1 Oreo. While there have been fewer rumors about the rest of the internals, it’s fair to expect that Note 9 to at least match the specs of the Galaxy S9 Plus — so expect a model of the Note 9 with 256GB of storage to be present at launch. How likely is it? It’s a certainty. The premium tablet market is a space that belongs to Apple’s iPad for the most part, but that doesn’t mean Samsung’s giving up without a fight. Following up on last year’s Galaxy Tab S3, rumors of the Galaxy Tab S4 have built to a fever pitch, and it seems likely that Samsung will choose to show off its next premium tablet at Unpacked 2018. The Tab S3’s design didn’t change much from the Tab S2, and so Samsung may mix things up a little with its next tablet. The latest leaks agree, and have shown a device with slimmed-down bezels and no home button. It’s a design that’s sleeker and much more 2018, and while tablet bezels required for grip, the Tab S4 looks to have struck a good balance if the leaked renders are to be believed. The lack of a home button may mean that the Tab S4 lacks a fingerprint scanner, which is bad news for anyone who used their fingerprint to log into PayPal or other secure sites. It’s possible the device will use the front camera for identification, but that won’t be able to be used for secure logins. Though some rumors of an in-display fingerprint sensor have surfaced, the chances of that are probably close to nil. On the plus side, the Tab S4 is reported to be sporting a 2560 x 1600-pixel resolution, a larger 10.5-inch display, and the same improved S Pen functionality that’s coming to the Note 9. According to leaked benchmarks, the Tab S4 will come equipped with the Snapdragon 835 processor, 4GB of RAM, and Android 8.1 Oreo installed from launch. There’s been even less word on a price or release date for the Galaxy Tab S4, but if it’s being shown off at Unpacked 2018, then you can expect to see it come out in the months after — the end of August or start of September seems likely, and a price tag of around $600 seems similarly likely. How likely is it? While previous versions of the Galaxy Tab have been revealed at Mobile World Congress (MWC), with the recent glut of rumors and leaks around the Tab S4, don’t be surprised if you see the Galaxy Tab S4 at Unpacked 2018. It’s been a long time since Samsung released the Samsung Gear S3 smartwatch, so an updated version is overdue — and Unpacked 2018 would be the perfect place to show it off. There are a lot of questions about this smartwatch, and one of the most contentious rumors indicates that Samsung won’t be returning to its “Gear” branding — and will instead cash in on the successful “Galaxy” brand by taking what would be the Gear S4, and renaming it the “Galaxy Watch.” Samsung has registered the name as a trademark in both Korea and the United States, so it seems likely that Samsung will be pushing for a branding refresh for this latest smartwatch. Also in contention is the operating system running on the watch itself. 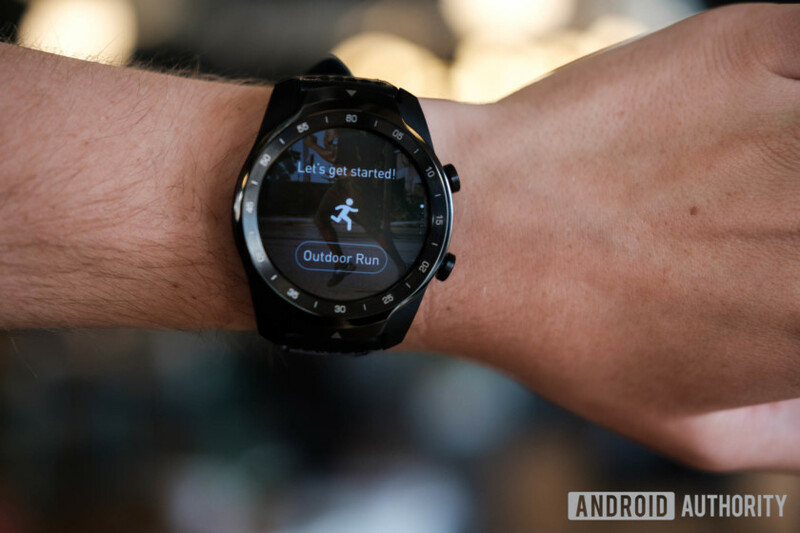 Samsung has traditionally used its own Tizen OS for previous Gear watches, but after Samsung employees were spotted wearing Gear watches with Google’s Wear OS installed, rumors began that Samsung was planning to swap over to Google’s watch operating system. Another tweet from Evan Blass that the watches were specially made by Google for specific Samsung employees did nothing to cease the rumors. Regardless of the OS, it’s now confirmed that Bixby will be a key feature in the Galaxy Watch. It’s also rumored that Samsung will be boosting the battery size of the watch, and might be experimenting with ways to wirelessly charge the watch on the go with a special phone case that transfers power from one device to the other. Interesting ideas, but not something we’re anticipating seeing at Unpacked 2018. How likely is it? It’s traditional for Samsung to announce its Gear smartwatches at the IFA exhibition, so it’s more likely Samsung will keep a hold of the Galaxy Watch until that exhibition at the end of August. Don’t rule out a reveal at Unpacked 2018, though. Android Go is a lighter version of Android made for developing markets, where cheaper and lower-powered phones are common and data is precious. As such, Android Go is easy to run on lower specs, and easy on the mobile data. Samsung has so far avoided this entry-level market, but with sales in developed areas plateauing, it seems the company wants to get a piece of that pie. Rumors that Samsung is developing a lower-powered, entry-level phone with Android Go installed have recently popped up, and it’s possible that it may spend a little time at Unpacked 2018 introducing the Galaxy J2 Core. In terms of looks, it will likely to be a device that looks fairly “budget”, with a polycarbonate body and chunky bezels surrounding a 5-inch screen. There’s a bright side to that, however, as Samsung seems to have spent that saved money on splashing out on an AMOLED display, which is exceptionally extravagant for an entry-level handset. Specs are, as expected, on the lower side, with the J2 Core rumored to be packing an Exynos 7580, 1GB of RAM, and 16GB of onboard storage. Interestingly, it seems that Samsung has put its own spin on the Android Go experience, with some leaked images showing its Samsung Experience skin running on the phone. How likely is it? Samsung has never released a phone like this before, so there’s no past performance to grade it by. Rumors are still fairly thin on the ground, and it’s a pretty low-key phone, so while the Galaxy J2 Core may be in attendance, don’t expect it to be given a real spotlight. Both the Gear IconX earbuds and the Gear Fit 2 Pro are looking a little long in the tooth now, so it’s fair to assume that some sort of update is on the way. Despite that, we’ve heard next to nothing about them. Both of these products have traditionally had the wraps taken off them at the annual IFA conference, making it unlikely that they’ll be making a major appearance at Unpacked August 2018. But don’t discount that Samsung will take the opportunity to show any upgraded versions to a few select individuals. How likely is it? Unlikely. We’ve heard next to nothing about these possible upgrades, making it far more likely that both of these (if they exist) will be coming to IFA 2018 at the end of August. Could this be Samsung’s first entry-level Android Go phone? The Note 8’s glass back and curved edges on its screen are undeniably stunning, but they also result in a phone that’s not as durable as some may like. A case or skin can help to keep the Note 8 safe, but then again, going naked lets you take in the fullness of its design. 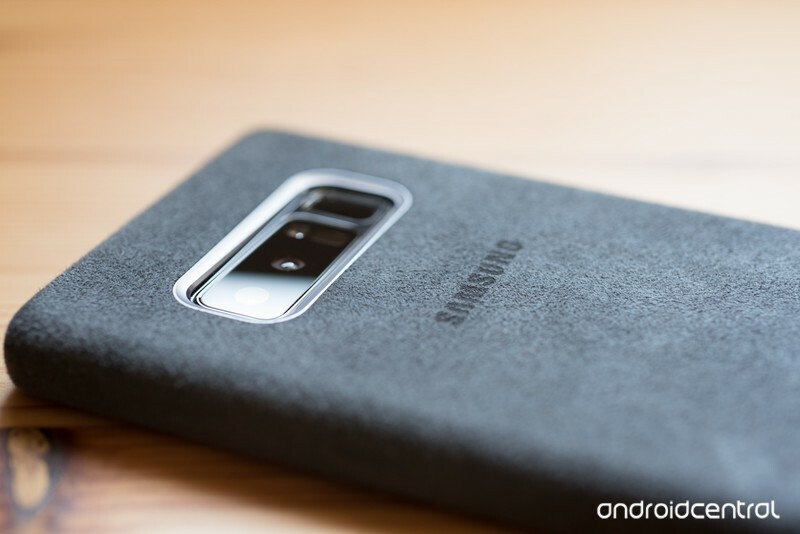 Some of the AC forum community recently started talking about whether or not they’re using a case/skin for their Note 8, and this is what they had to say. I’m using a red dragon skin from D Brand. Right now I’m also using a otterbox case on it too when I’m outside. It does feel great without having the extra bulk of the case though. I have a Slickwrap on the back, it’s in a Chinese Alcantara case and I have a Whitestone Dome glass on it. The glass was a recent addition due to some scratches that I got on my screen. I just take my case off when I am at home. I like to enjoy the asthetics, feel, and look of the phone now and then. Considered a Dbrand, but I would still want a case. I would think the Dbrand wouldn’t be compatible with the case, maybe depends on the case. This is what I have. I like the matte clear back. 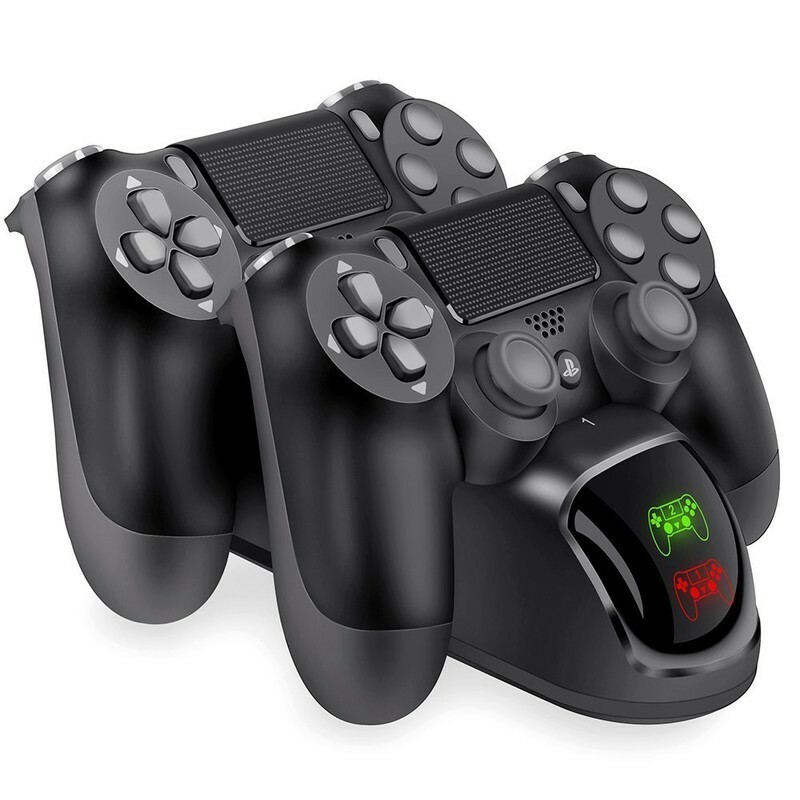 The PowerA DualShock 4 Controller Charging Station is the only officially licensed charging dock for your PlayStation 4 controllers. It works off of AC adapters to make it easy to plug your controllers in and get a charge without any additional hassle. With a design that makes it easy to plug in your controllers and doesn’t take up much room, this dock fits easily onto an entertainment system. From the design to the size, this dock makes it easy to keep your controllers charged and ready for you when it’s time to game. Ringing in at only $18, it’s not gonna hurt you too much when you put the cash into this charging station. Bottom line: The PowerA DualShock 4 Controller Charging Station is the officially licensed charge dock, which means it’s the dock that you can trust with the solemn duty of charging your controllers. Additionally, it’s a small dock that is easy to fit into even a crowded entertainment system. One more thing: This charging dock can charge up to two DualShock 4 controllers at the same time. PowerA DualShock 4 Controller Charging Station makes it easy to keep your controllers stored and charged for when you need them. There are plenty of great reasons that this controller dock is the best, and they all combine to deliver a stellar product. The design means that you can slot your controllers directly down and into the cradle, which means that properly plugging your DualShock 4 controller in is a breeze. You’ll hear an audible click when you plug your controllers in, as well as seeing your controller light up orange while charging. That same design also takes up as little room as possible. Since you may well already have an overcrowded entertainment center, this means that it won’t be taking up too much room. It’s designed so that you don’t have to think about what you’re doing; just drop your controller in and go about your day. When you plug in your controller, you’ll hear an audible click and see the lightbar on the back of controller glow yellow to indicate a good connection While many other docks have a few more features, they don’t combine to form the excellent product that PowerA has delivered. This is a pretty interesting option from the folks at Asterion Products. This is a full-on PS VR charging stand, with as many as five active ports and docks for your various PlayStation 4 accessories. 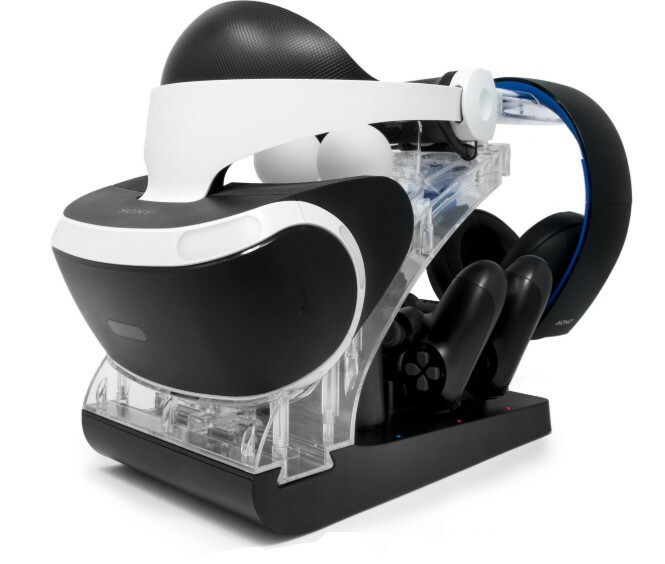 You can rapidly charge two move controllers, two DualShock 4 controllers, the PS VR headset, and even the PlayStation Gold Stereo Headset all at the same time. And there are protective measures in there preventing your gear from getting damaged from all that fast charging. Each device hooked up to it will have its own LED indicator to let you know when it’s ready. It’ll also look pretty cool in your entertainment setup with its LED illumination, though this can be turned off if you aren’t ready to add more lights to your setup. It’s pricey at $42.99, but reviews suggest it’s well worth the cost. Bottom line: Asterion’s charging dock sets itself apart by being the one-stop solution for those who are enjoying everything PlayStation 4 has to offer, including VR. One more thing: This dock smartly integrates a cradle specifically to store your PS VR headset’s cable, so it won’t be dangling from the edge of your entertainment stand. When it comes to finding great accessories that fit into your budget, things can be a bit difficult. Thankfully, this controller dock is both easy to use and affordable, even when you don’t have much money to spare. The BEBONCOOL Charging dock for PlayStation 4 can easily handle two controllers at once and lets you easily remove and insert them into the charging dock. Indicator lights will let you know that your controller is charging and when it’s done charging, it will turn green. This charging station isn’t quite as sturdy as some of its competitors, but for just $13, it’s a solid purchase. Bottom line: The BEBONCOOL Charging dock delivers a great product without a steep price tag. It can charge two controllers at once, has convenient LED indicators, and is easy to fit in your crowded entertainment center. One more thing: The indicator lights will shine red when charging and then switch to green when your controller is fully charged. 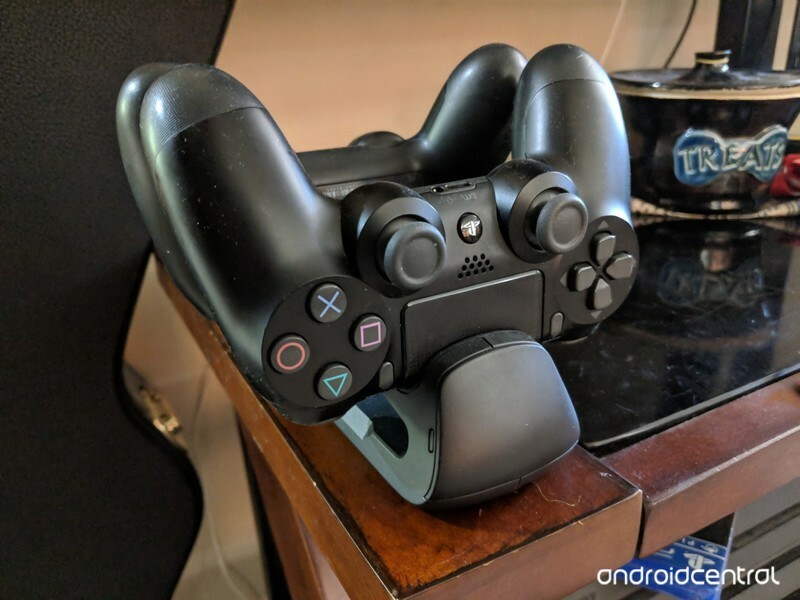 There are plenty of charging docks that are available for your DualShock 4 controllers, and, thankfully, many of them are fantastic at their jobs. While they often have similar features and functions, there are definitely some docks that work better than others. 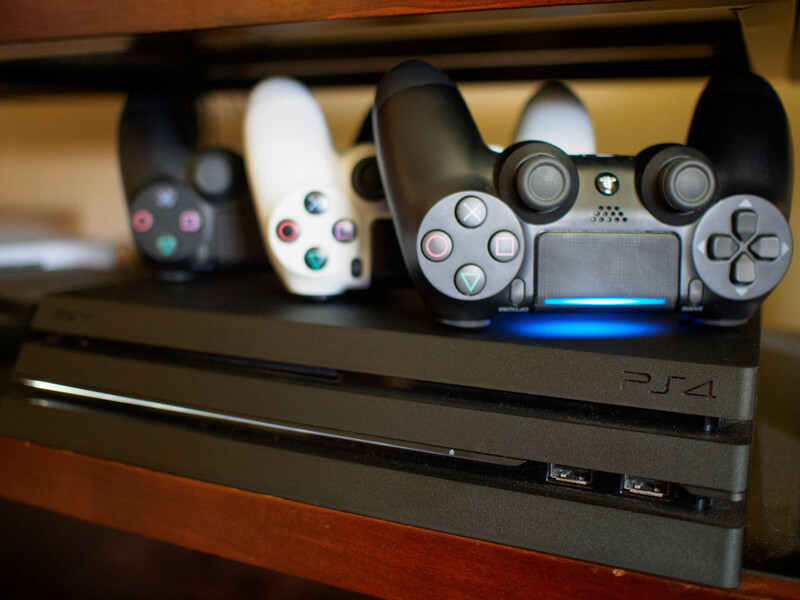 That’s why we recommend the PowerA DualShock 4 Controller Charging Station. It offers all of the features that you might want, as well as a design that makes it easy to pop your controllers in and out of without any frustration. 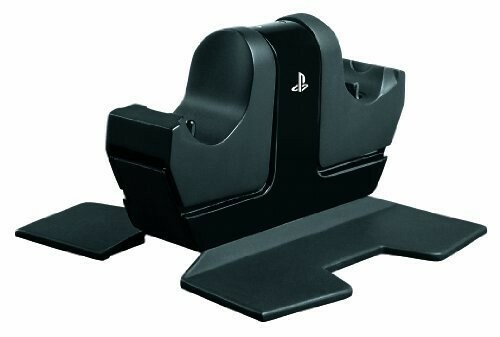 It’s affordable, easy to use, and the officially licensed PlayStation 4 charging dock for DualShock 4 Controllers. All of these things combine to deliver a stellar dock that can get the job done without any issues in the process. The PowerA DualShock 4 Controller Charging Station is the only officially licensed charging dock for your PlayStation 4 controllers. It works off of AC adapters to make it easy to plug your controllers in and get a charge without any additional hassle. With a design that makes it easy to plug in your controllers and one that doesn’t take up much room, this dock fits easily onto an entertainment system. From the design to the size, this dock makes it easy to keep your controllers charged and ready for you when it’s time to game. Updated July 2018: We’ve removed the Nyko charging dock to make room for the Asterion dock. 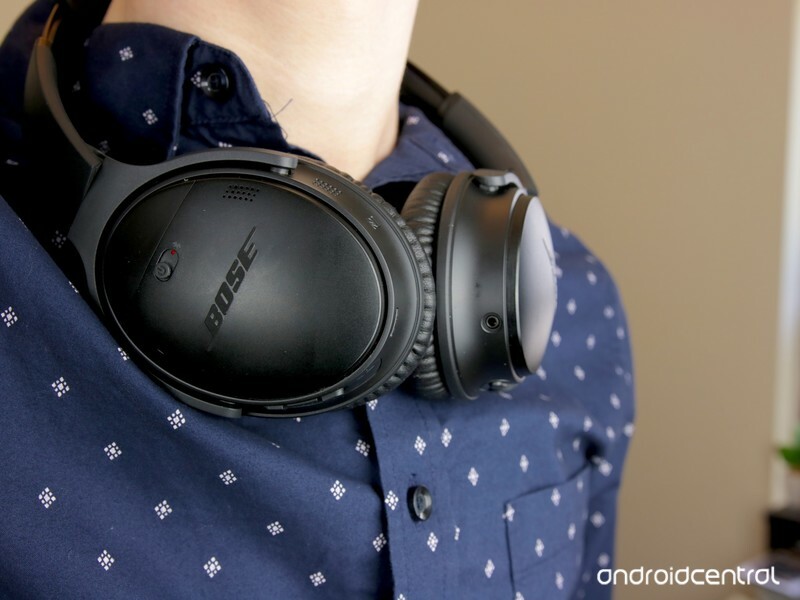 Despite the high price, Bose’s QC35 II justifies its cost in every way imaginable. 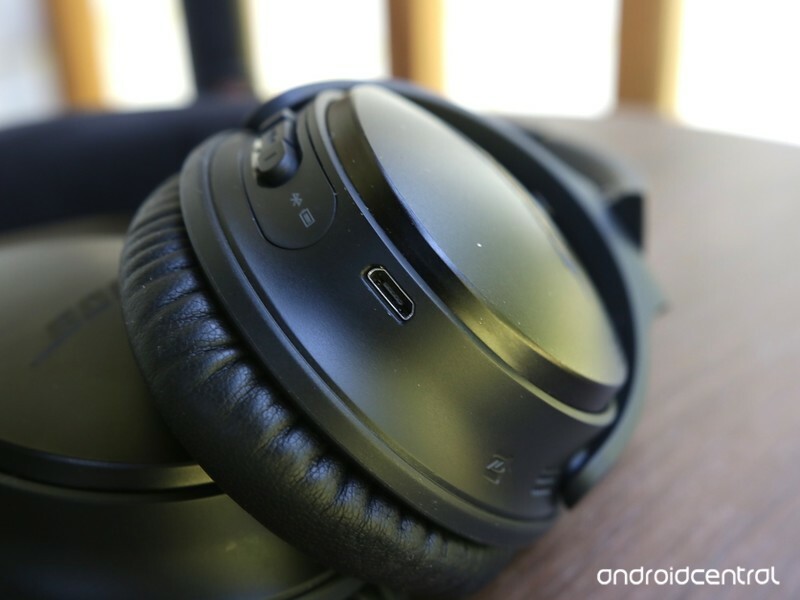 Bose is one of the biggest names when it comes to audio products, so it shouldn’t be any surprise that it too wants a slice of the noise canceling headphone market. This is a niche the company’s excelled at for years, and with the QuietComfort 35 Series II, we’ve got one of the best options money can buy. 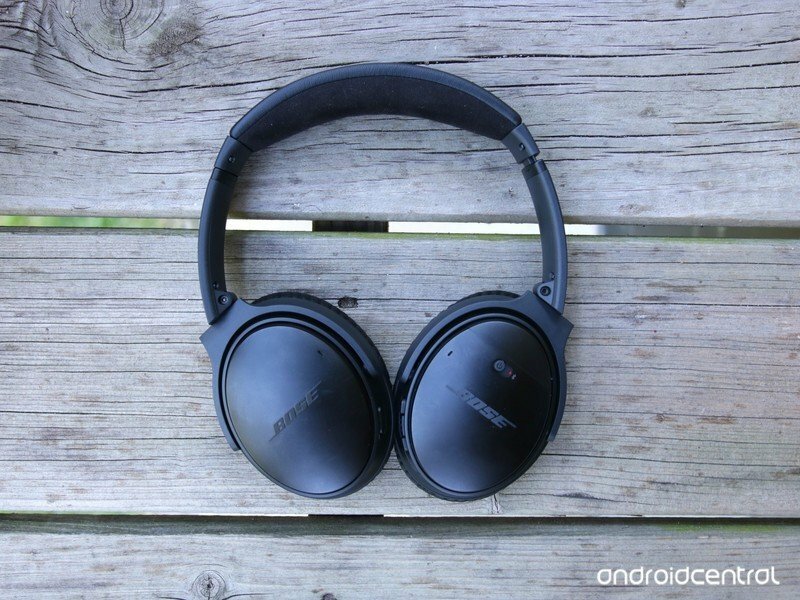 Without further ado, here’s the AC review of the Bose QC35 II. First off, the design is excellent. The earcups are easily adjustable to get the perfect fit, and once you find it, you’ll never want to take the headphones off. The soft leather cushioning surrounding each cup grips onto your ear without being too tight and the padding for the headband is a very welcome touch. Speaking of listening for hours on end, that’s something you can do quite often thanks to the 20 hours of estimated playback time on a single charge. Depending on how heavy I use the QC35 II, I can usually get 1-2 weeks of use before having to look for the charger. Starting first with sound quality, the best way I can describe it is that everything sounds full. Bass is powerful without being too muddy, higher notes are crystal clear, and no matter what song I put on, I always end up hearing more elements than what’s detectable when listening through a cheaper medium. 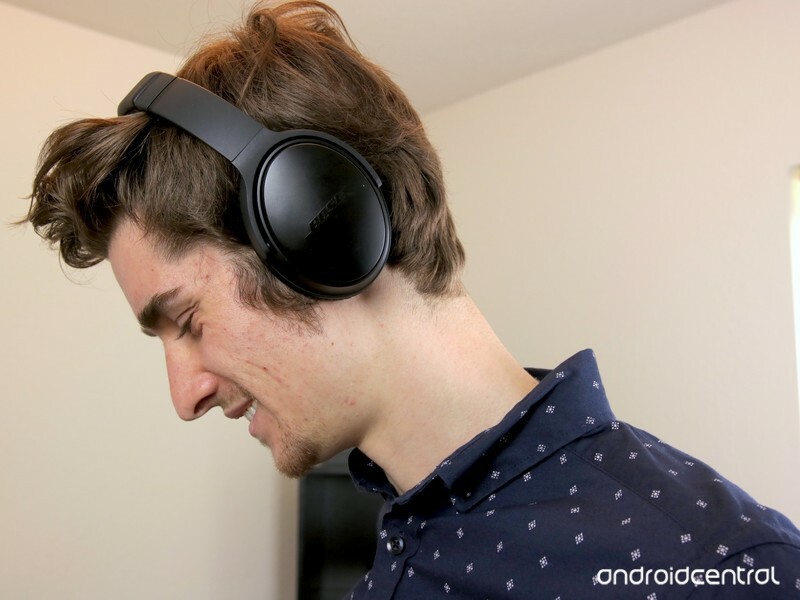 These are the best-sounding headphones I’ve ever tried. Hands-down. I’m not an audiophile by any stretch of the imagination and listen to all of my music through Spotify, but at least in my experience with the gadgets I’ve tried, the QC35 II is my absolute favorite way for experiencing new songs and re-listening to old ones. 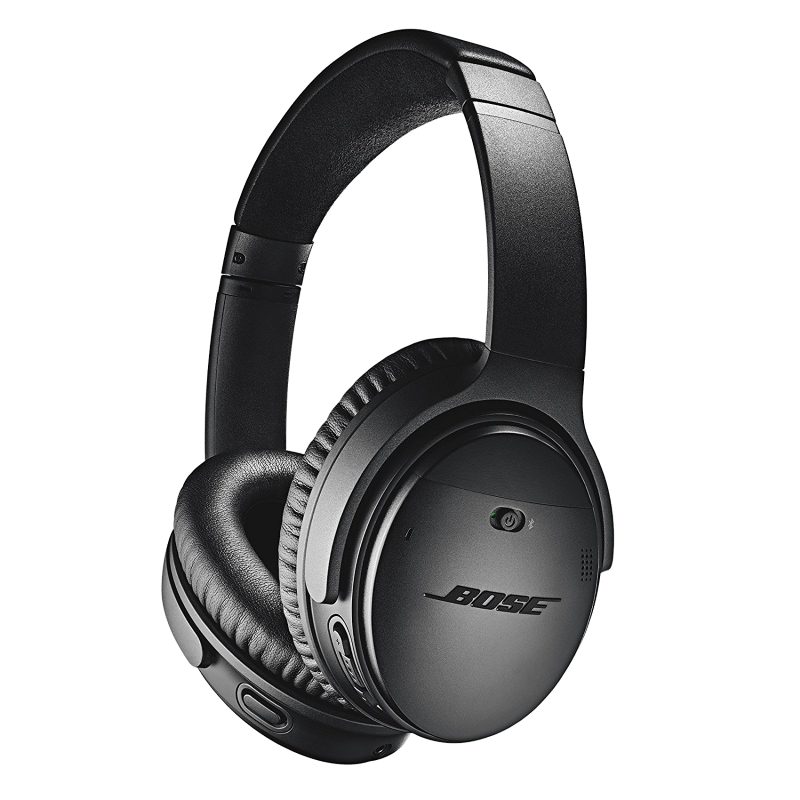 The speaker quality on its own is fantastic, but this immersive listening experience wouldn’t be the same without Bose’s phenomenal active noise canceling. Whether I’m working at a noisy Starbucks or going for a walk around town, the QC35 II constantly manage to block out all of the unwanted sounds happening around me. The background whir of the AC unit in my apartment fades away, the chatter of people working around me at coffee shops disappear from thin air, and even the roaring of an airplane engine during a flight to New York earlier this year proved to be no match for the QC35 II. There’s a dedicated button for talking to the Google Assistant. I don’t use it all the time, but I’m glad it’s there. Even though the Bose QC35 II are easily my favorite pair of headphones I’ve ever owned, I’ll be the first to admit that they aren’t perfect. This might seem like a silly thing to complain about, but when the QC35 II is the only thing I have that still uses Micro-USB, it means I’ve got to carry around another cable that none of my other gadgets use anymore. Perhaps even more infuriating is that this outdated port is used on a pair of headphones that cost as much as the QC35 II do. At $349, these aren’t cheap no matter how you look at it. If $349 is more than you’re looking to spend on a pair of headphones right now, pick up something that’s cheaper. This is the most I’ve ever spent on any audio product before, and my wallet was feeling the sting of that purchase for quite a while after it. I’ve always enjoyed listening to music, but with these headphones, I find myself wanting to just sit on the couch, throw them on, and close my eyes while listening to some of my favorite tunes. That’s something I’ve never felt with any other pair of headphones I’ve owned, and when you combine that with the design, noise canceling, and everything else I talked about, you end up with something special. I’ve been using these headphones on a daily basis since I got them in October of last year, and I don’t plan on giving them up anytime soon.